I was born on 4th of April 1970 in Kuala Lumpur, Malaysia. I am the youngest in a family of 10. Since a kid, I was always focused, determined, and athletic. I played all kinds of games in school. I started bodybuilding at the age of 18 when I was in my high school track and field team. My body responded well and put on some 20 lbs in just 6 weeks of training. I was hooked and amazed by how fast my body responded and decided to become a bodybuilder instead. I have been training ever since. After only 6 months of training, I entered my first bodybuilding competition and won the junior category. I was in quite a good condition considering that I did not know much about training and nutrition at that time. A few months later in August 1990, I went to school at Colorado State University in America. When I was in school, I learned a lot about bodybuilding. I started reading bodybuilding books and magazines about training and nutrition. I was only a recreational bodybuilder then, and went to a few local NPC competitions and saw a few pros as the guest posers. I never knew I had the genetics to become a pro until I saw them posed in person that night. I told myself I wanted to be a pro bodybuilder and make bodybuilding as my career. I knew I had a long way to go before I could turn pro, so after I graduated with a Master’s degree in Human Nutrition in 1995, I came back to my native country, Malaysia and started to compete again. I wanted to be the best in Asia before setting foot in America again to earn my pro card. During that period when I was in Malaysia competing from 1995-1999, I also worked as a quality controller in a local food company. 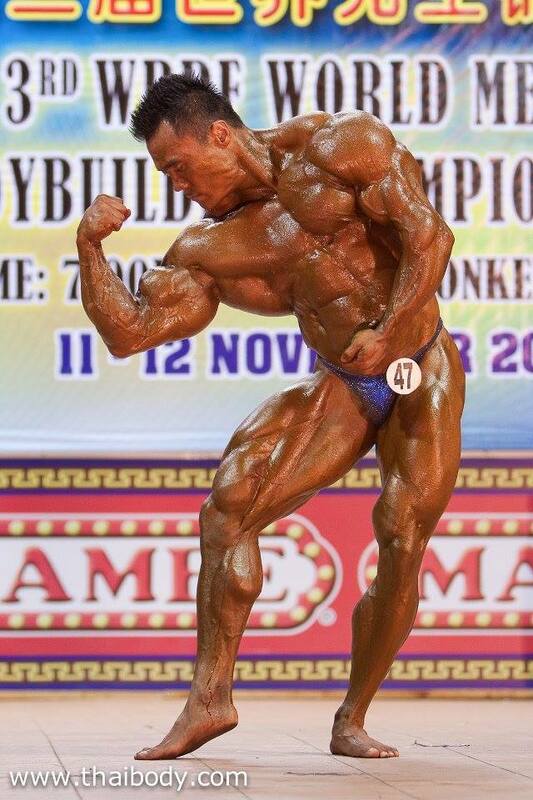 In 4 years, I won most of the competitions in Asia including the prestigious IFBB Mr.Asia title in 1999. With the Mr.Asia title under my belt, I thought it was time to go back to America in 2000 to further my bodybuilding career (earn for an IFBB pro card). Within 2 years after setting foot again in the USA for the second time, I became a professional bodybuilder. This meant a lot to me as I was one of the very first Asians to turn pro in the IFBB. During that time, I was a personal trainer in New York City. I competed a few times in pro competitions and did decently well before I decided to go back to Malaysia in March 2005 to venture into business. I opened my new fitness center in Kuala Lumpur on 1st of September 2005. Opening a new gym is one way I can educate and pass on my knowledge of what I have learned from my 15 years experience in the bodybuilding and fitness industry, Master’s of Science in Human Nutrition, and 4 years as a competitive bodybuilder in America. Even though I am an entrepreneur now, I still have a fire in me to compete professionally. I am far from reaching my full potential as a competitive bodybuilder. I know I have what it takes to be one of the best bodybuilders in the world. There were many ups and downs in my bodybuilding career but I kept on believing in myself and refused to give up to get to where I am today. I am grateful that I can make a living doing what I love, BODYBUILDING.